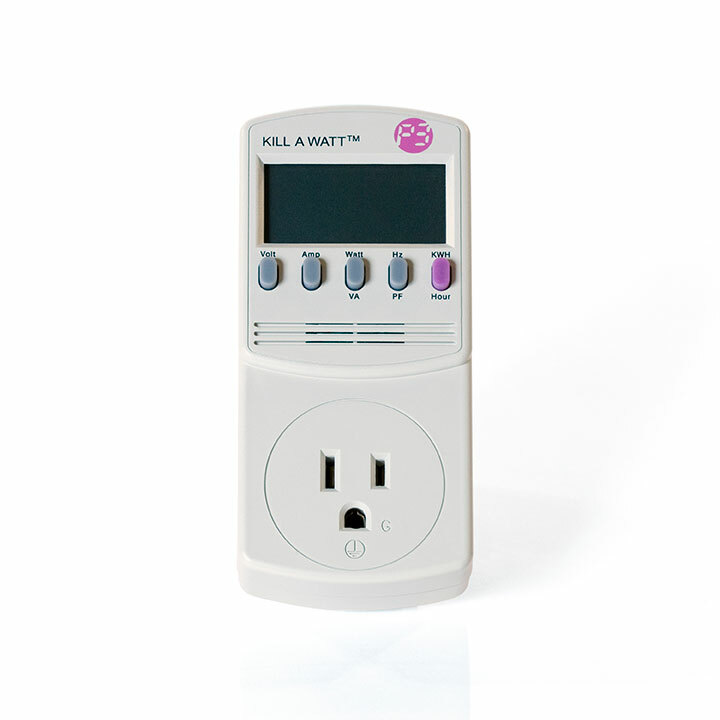 The Kill-A-Watt Meter allows students to plug in their every day electrical devices to view the power being drawn by the device in real-time. In addition, students can view the energy consumed over the period of time that their device is plugged in. DC water pumps are tolerant and responsive loads for doing solar experiments. Water pumping is a great application for the technology and provides immediate and visible feedback on how much solar power the circuit is producing. 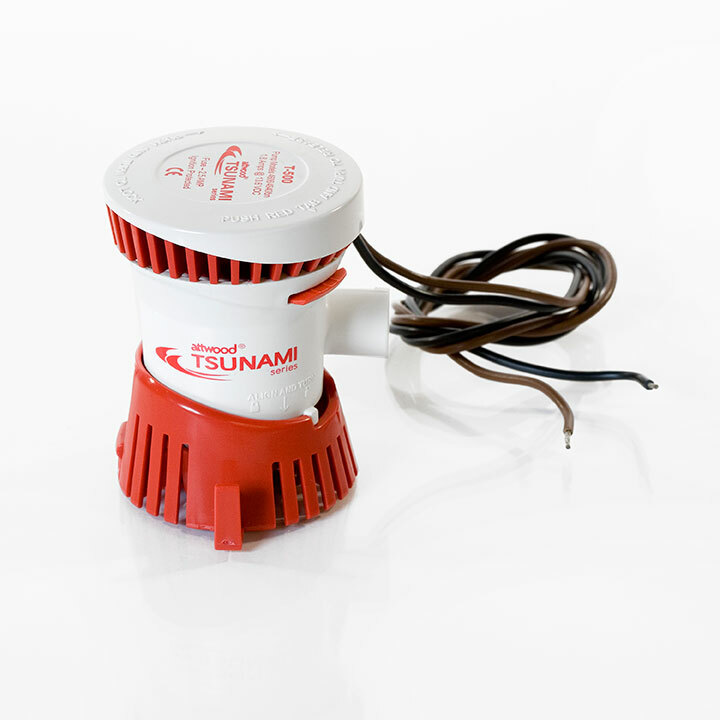 This Large DC Water Pump is a 13.6-Volt 1.8 A load and can be used with four or five of the 3-Volt modules. 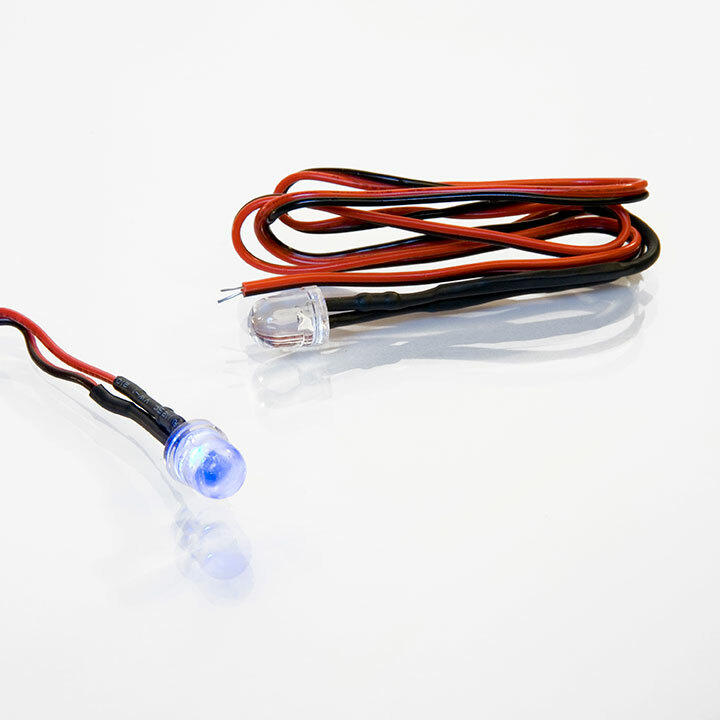 These small, low-power light-emitting diodes (LEDs) can be used as a simple load in basic circuit experiments and to show students how to wire together a basic circuit. 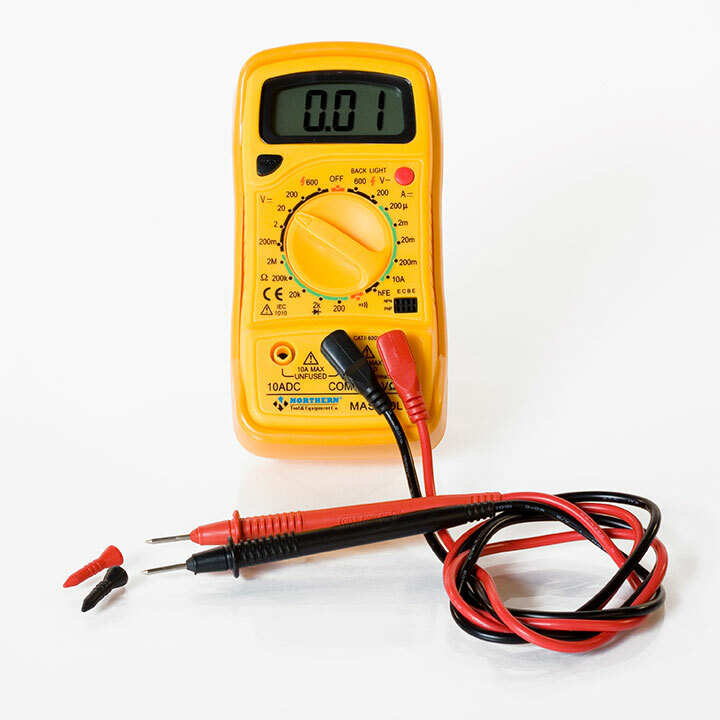 Multimeters allow students to quantitatively measure the amount of voltage and current produced by solar modules under various conditions and wired up in myriad configurations. 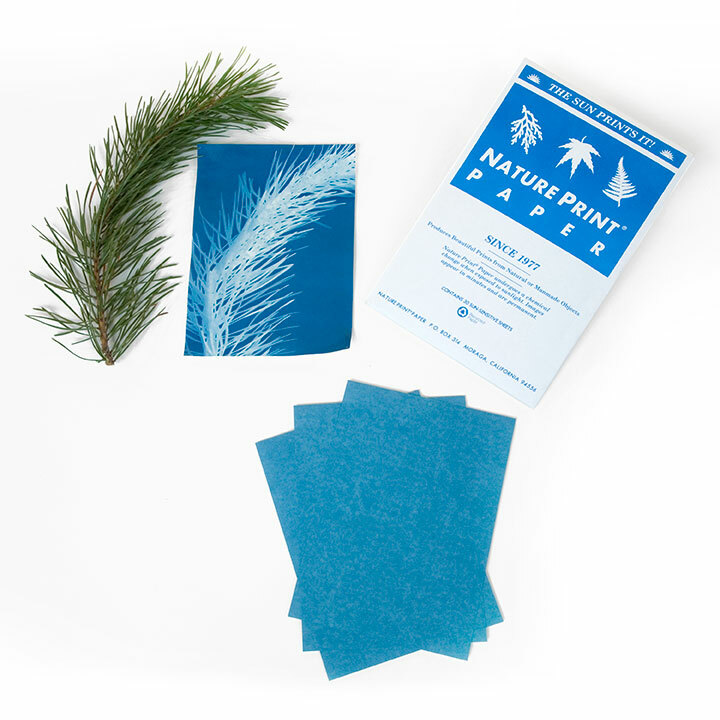 Like the UV Color Changing Beads, this paper changes color when exposed to ultraviolet radiation, meaning that students can create sun prints as a part of a solar art project. Similar to the beads, the paper can be used to reinforce the effect of solar radiation and that it is a form of energy, which can cause chemical reactions to take place. The paper comes in 30-sheet packs and (unlike the solar beads) the reaction is not reversible, meaning that the prints created by students are permanent and that the paper is not reusable. 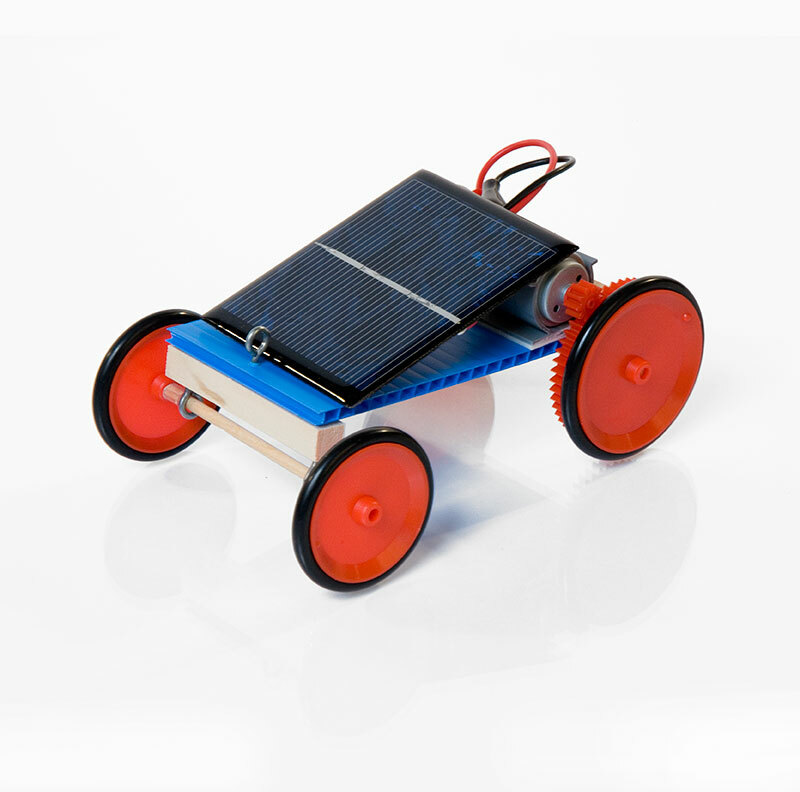 Developed by SunWind Solar, this kit can be used to build a single, geared solar car and includes a 1.5-Volt module. 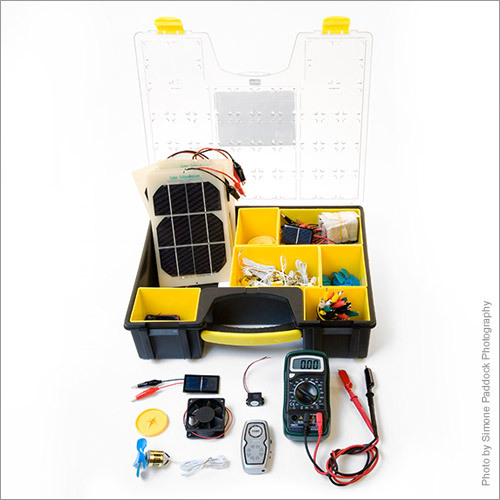 Developed by Solar Schoolhouse, this classroom set contains thirty 0.5-Volt and four 3-Volt solar modules (commonly called “panels”), eighteen small DC motors with fan and wheel attachments and various other small loads. 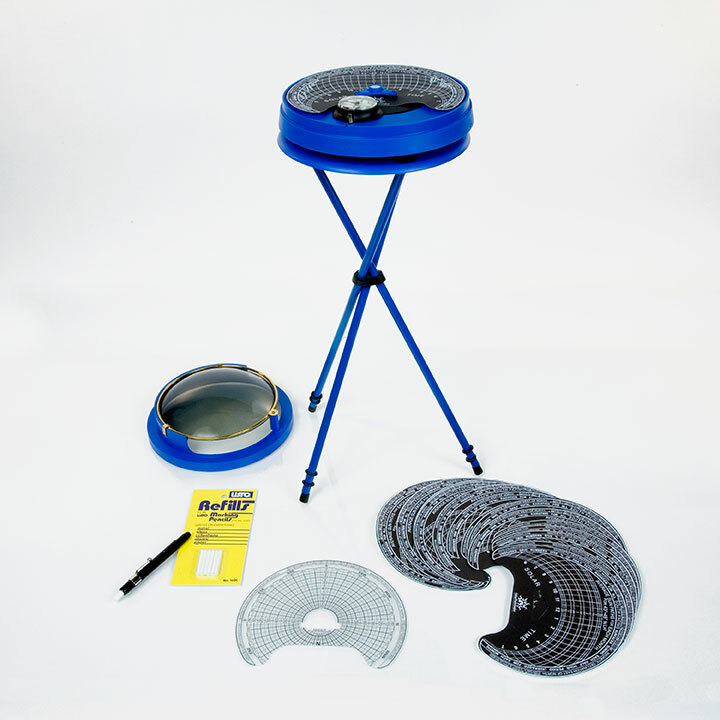 This set can be used to accompany the Teaching Solar Book and DVD. 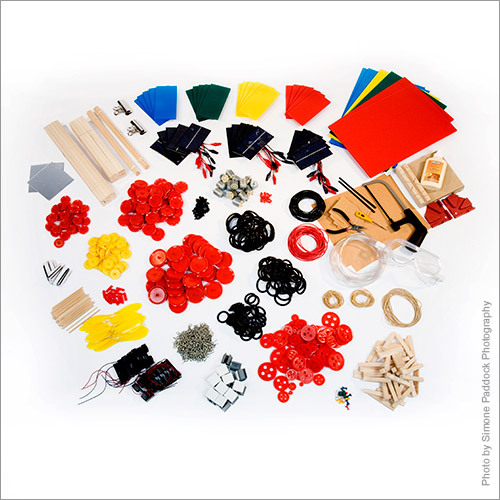 Developed by Sun Wind Solar, this kit contains fifteen 2-Volt modules, wheel sets, gears, dowels and all base materials required to build solar cars and other simple, solar-powered machines. The Solar Pathfinder is an industry tool used to perform a shading analysis at a site in order to quantitatively determine the solar resource over the course of the year. 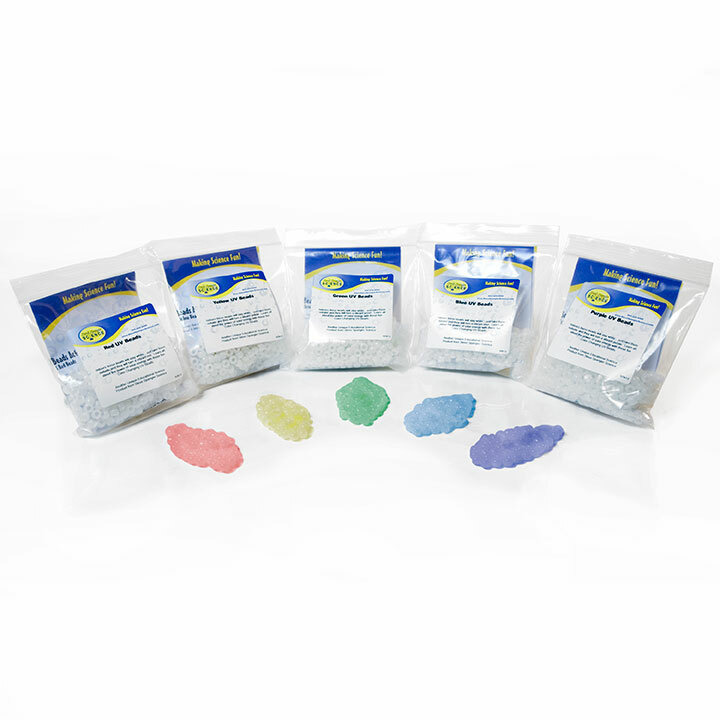 Developed by Steve Spangler Science, these white photochromic beads turn color when exposed to ultraviolet light. They can be used—especially with younger students—to reinforce the idea that light is energy that can perform work or to talk about the electromagnetic spectrum.